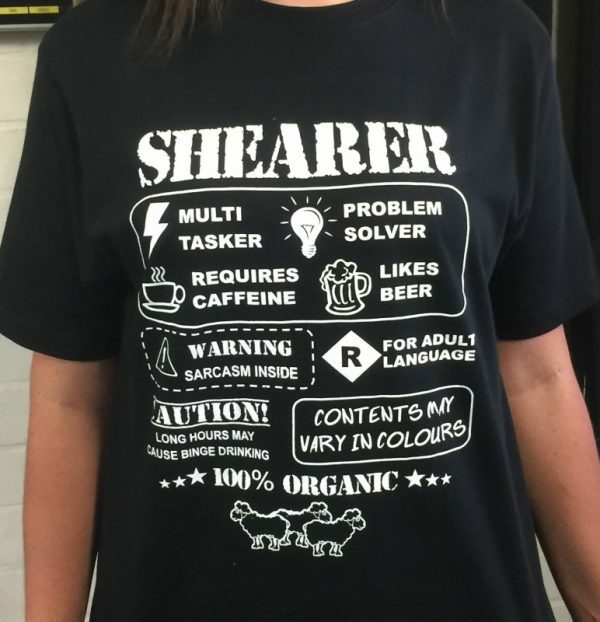 Excellent gift for the shearer who has it all! 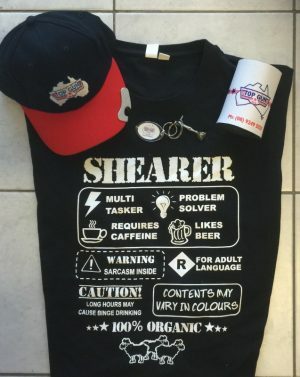 Available in sizes S-5XL. Black only with white print.